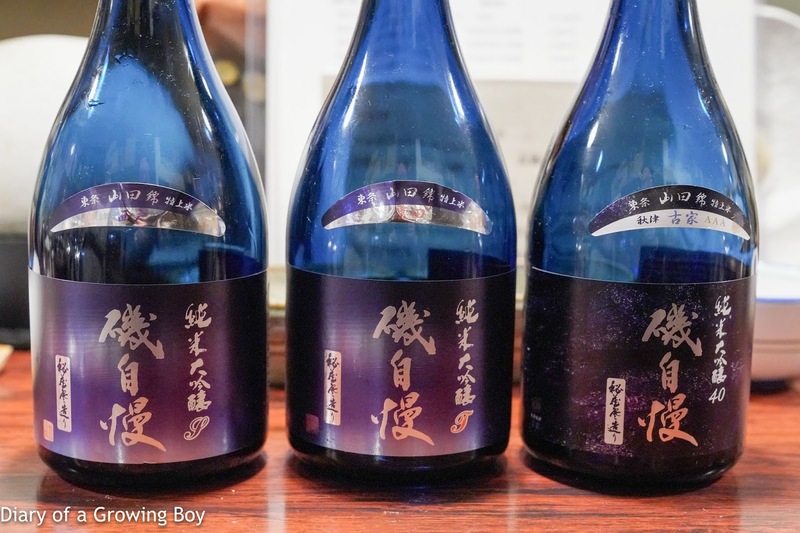 Drinks at Tamanegiya in Tokyo. 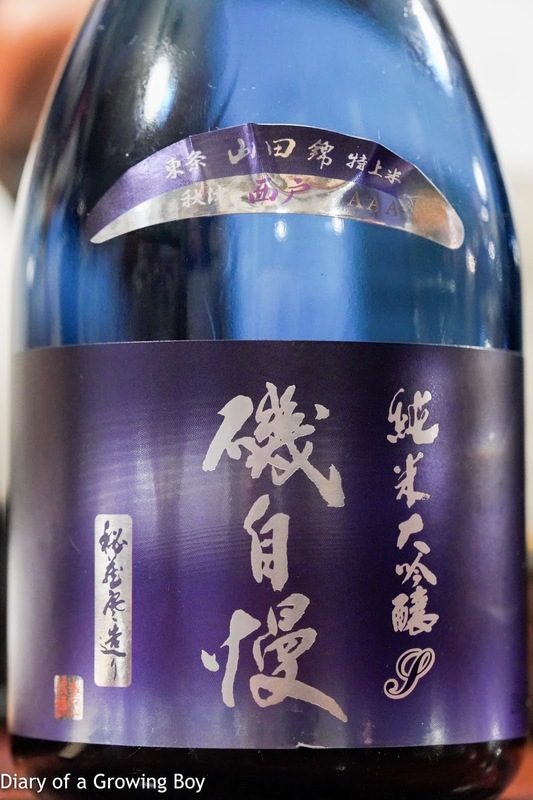 Hatsukame Daiginjo Yuzuki (初亀 大吟醸 遊月), 28BY - seimaibuai (精米歩合) of 35%, limited to 100 bottles. A bit sweet on the attack, but more spicy than expected. Still very clean. 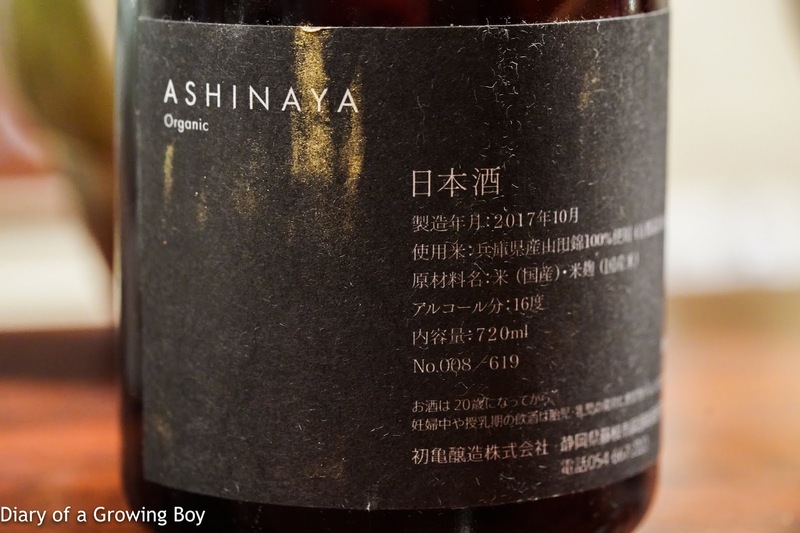 Hatsukame Ashinaya Organic (初亀 足名屋 オーガニック), 29BY - sweet and starchy nose with a little bit of floral notes. Very subtle and elegant on the palate, with a long and dry finish. 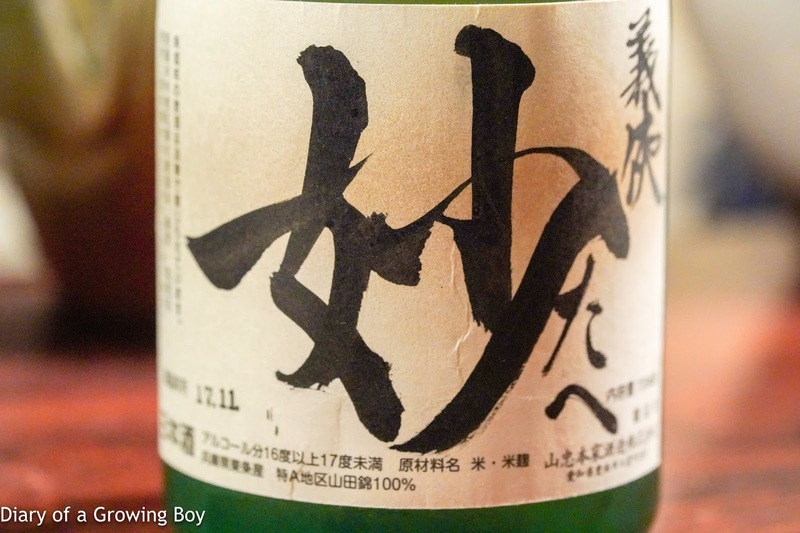 Gikyo Junmai Daiginjo Tae (義侠 純米大吟醸 妙), 29BY - seimaibuai (精米歩合) of 30%. 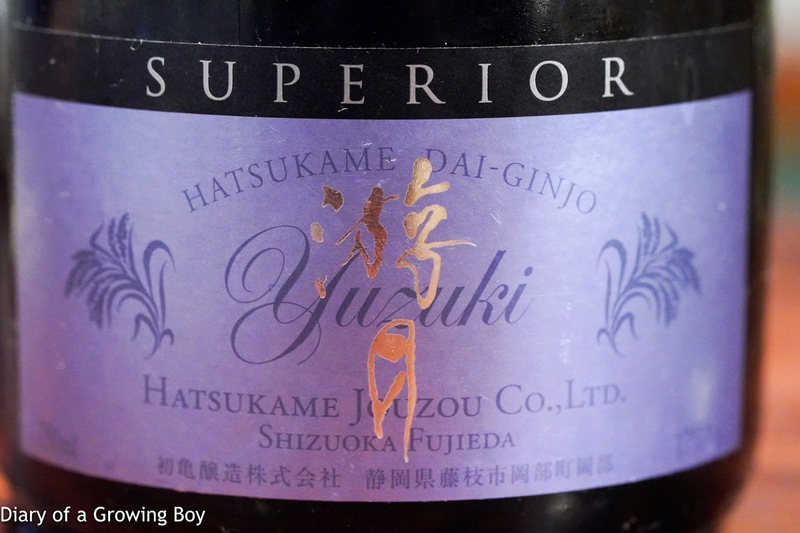 Nose was kinda muted, but the palate was much more complex, with a spicy attack and good intensity mid-palate. Apparently the brewery's owner passed away last month, so I drank a glass in his honor. 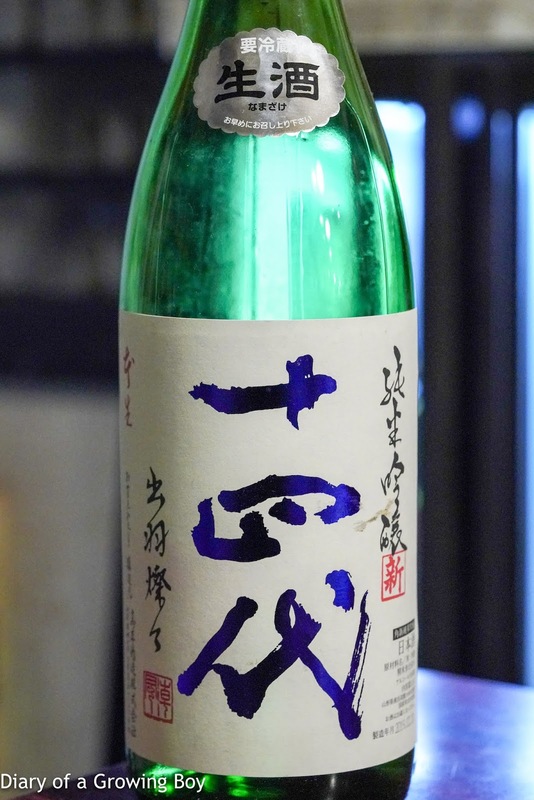 Juyondai Junmai Ginjo Dewasansan Unpasteurized (十四代 出羽燦々 角新 純米吟醸 生酒), 30BY - seimaibuai (精米歩合) of 50%. Nose of banana. Very soft. 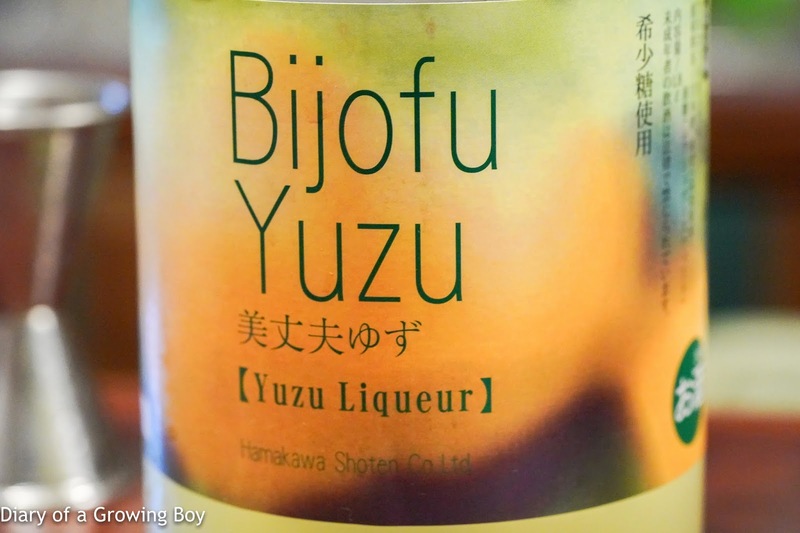 Bijofu Yuzu Liqueur (美丈夫ゆずリキュール) - it's been a while since I last had this. Gotta be done. Over crushed ice as always. Still love that amazing citrus. 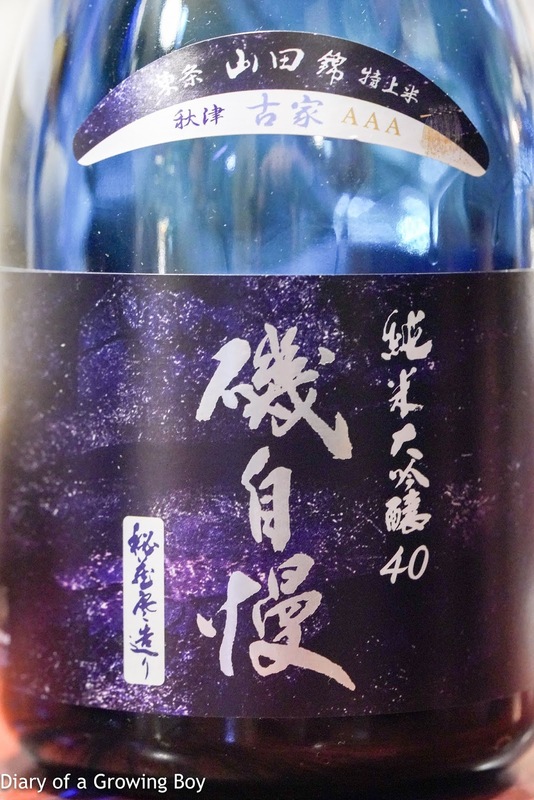 Isojiman Junmai Daiginjo 40% Tojo Akitsu Saito (磯自慢 純米大吟醸40 東条秋津西戶), 29BY - fermented, starchy, pretty rich and intense, kinda spicy. Isojiman Junmai Daiginjo 40% Tojo Akitsu Tsuneda (磯自慢 純米大吟醸40 東条秋津常田), 29BY - less starchy rice, more fermented, not so spicy, a little more elegant on the nose. My favorite of the three. 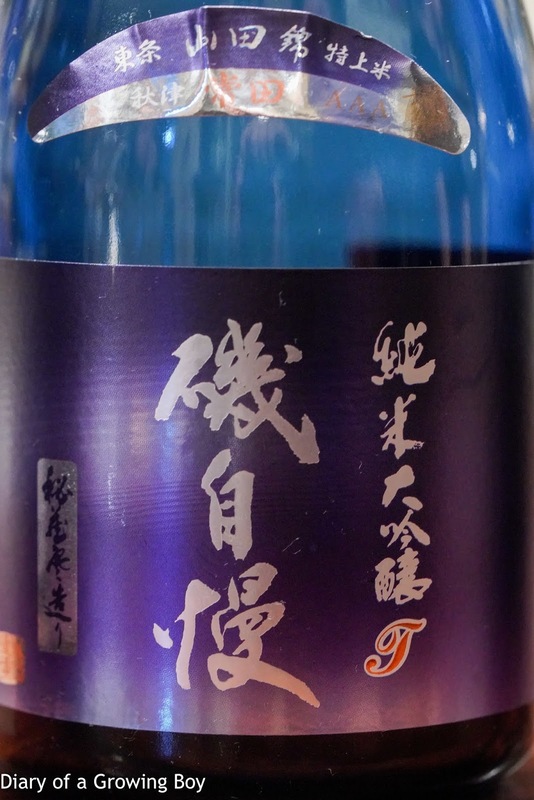 Isojiman Junmai Daiginjo 40% Tojo Akitsu Furuke (磯自慢 純米大吟醸40 東条秋津古家), 29BY - a bit more starchy, smooth and soft on the palate. 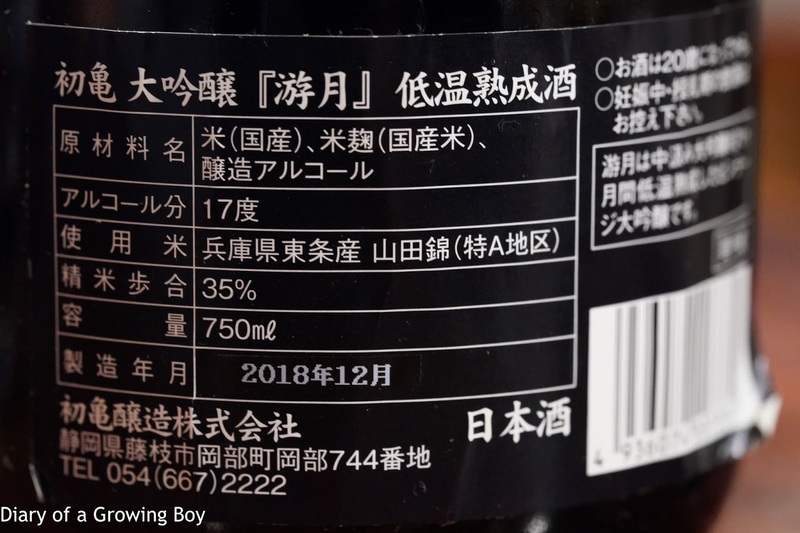 Full post on drinks is here.